Tax rates are easy to add and update with Manage Comics. On the tax rates page, click the “New Tax Rate” button. 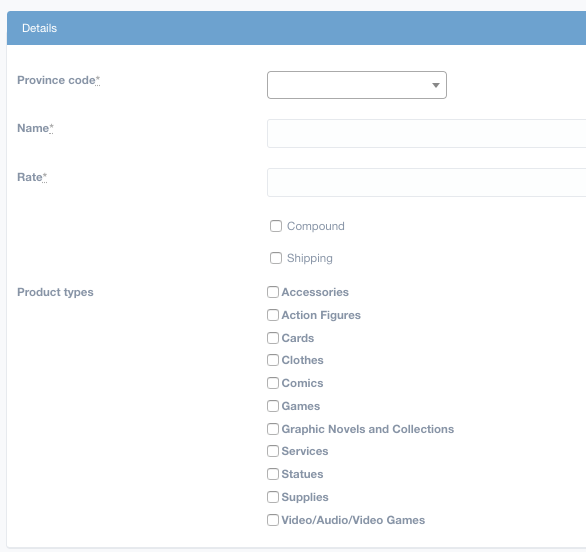 Select the product types that the tax rate applies to (consult your state or province tax regulations to see what products have tax exemptions). Click the Create Tax Rate button.